Sometimes, an icon - like the 2014 Toyota Camry - is an icon for a reason. It might seem like a sin to canonize a sedan like the Camry, a vehicle whose ubiquity and all-around competence has seen it dodge accusations of being too vanilla, almost the automotive equivalent of wallpaper. After spending quality time with the car, however, my eyes have been opened to the glory of the status quo, the wonder of the benchmark, and the joy to be taken in being all things to all people. 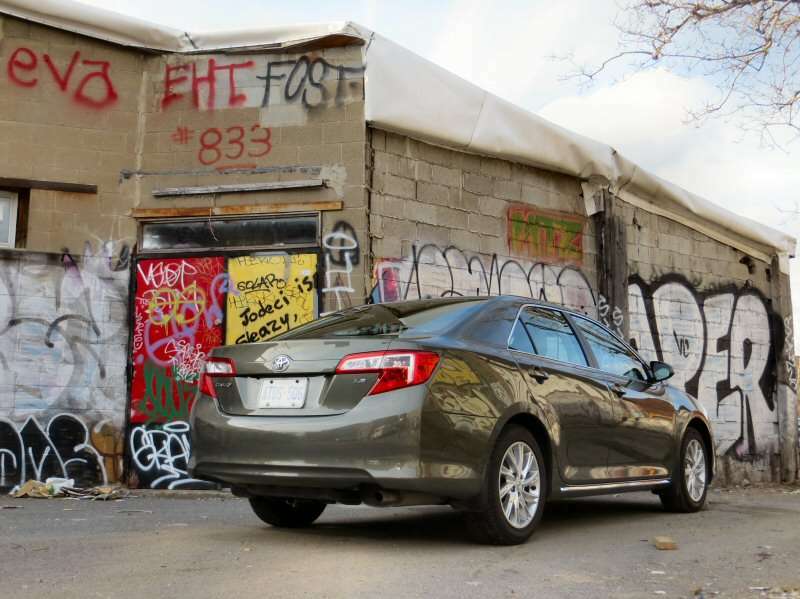 The Toyota Camry - more so than rivals like the Ford Fusion, the Hyundai Sonata, or the Mazda Mazda6 - sacrifices character in order to broadcast the kind of universal appeal that has made it the leading light in the family segment for over a decade. 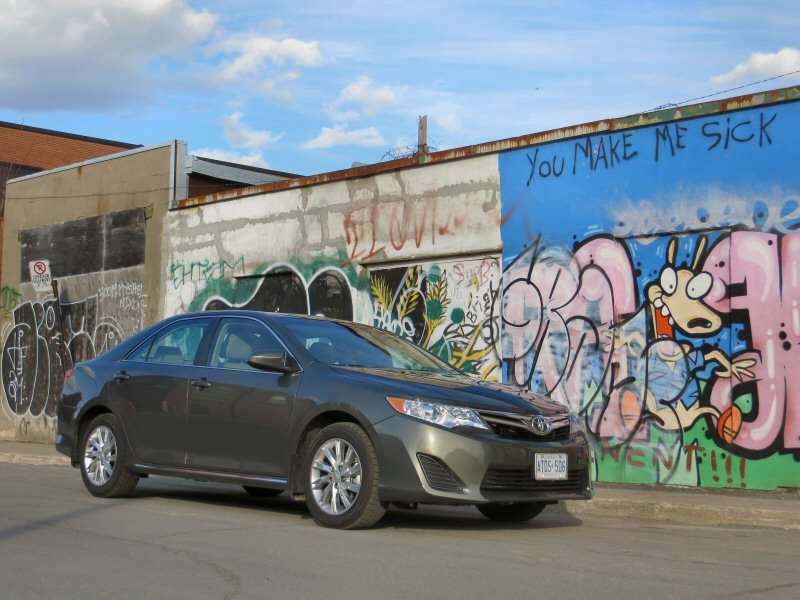 There are one thousand roads to Mecca, and it would seem that the Camry has carved out the widest, smoothest path for its legions of repeat buyers. 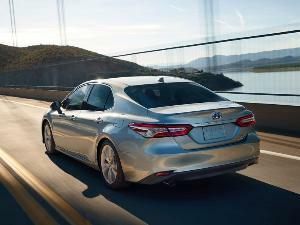 The 2014 Toyota Camry comes in five separate trim levels, but their content varies according to what engine you order. The entry-level L (MSRP $23,045) is equipped with air conditioning, a touchscreen audio system, power windows, power mirrors, Bluetooth connectivity, 16-inch steel wheels, a CD player, cruise control, a folding rear seat, and adjustable steering, while the Camry LE (MSRP $23,490) introduces power door locks, keyless entry, automatic headlights, and steering wheel controls for the stereo system. The SE trim (MSRP $24,210) is intended to be sporty, and it brings with it 17-inch rims, a leather-wrapped steering wheel, more aggressive trim inside and out, sport seats, and fog lights, while opting for the SE Sport model adds 18-inch rims, power adjustments for the driver's seat, and a sunroof (SE Sport is only available with the four-cylinder engine). If you go for the SE with the V-6, you'll be adding Entune mobile phone integration, keyless entry, and a navigation system to the mix. The range-topping Camry XLE (MSRP $25,665) introduces comfort-oriented equipment like a power driver's seat, a sunroof, dual automatic climate control, heated mirrors, and reverts to 17-inch rims. Again, checking off the V-6 box on the order sheet installs more gear, including a nav system, leather seats, Entune, satellite radio, and seat heaters (plus a power adjustable passenger seat). The 2014 Toyota Camry that I drove for a week came in LE trim and featured no options, making it a $23,490 vehicle. It's important to note that Toyota has introduced a '2014.5' model year that shuffles around equipment and tweaks pricing as a result - make sure to ask at the dealership which particular model year you are looking at, because there's a mix of the two sitting on lots across the country. The 2014 Toyota Camry makes no design changes for the current model year. There was once a time when the Camry was the model of automotive anonymity, at least from a design perspective. The 2014 Toyota Camry, however, makes a bit of a louder statement with its conservative, yet pleasing looks. Even finished in the light green of my tester, a color I found attractive yet which was roundly criticized by my peers, the car's crisp lines and agreeable presentation had me favorably comparing it to more fashion-forward options in its class. The Camry doesn't make any kind of statement, but nor is it the instantly-forgotten appliance of old. Inside it's a similar story, with simplicity and durability taking precedence over excitement. Materials have been chosen so as to stand up to the daily abuse that a commuter or family car inevitably absorbs, but the cabin has been done with an array of good-quality plastics and fabrics that won't have anyone recoiling in horror at their touch. The 2014 Toyota Camry makes no changes to its comfort or cargo features for the current model year. The 2014 Toyota Camry is sufficiently large inside, which is to say that whether you've got kids or adult friends sitting in the back seat, no one is going to be complaining over the course of a long trip. Wide door openings also make it easy to install a car seat out back, which is a boon to parents everywhere. 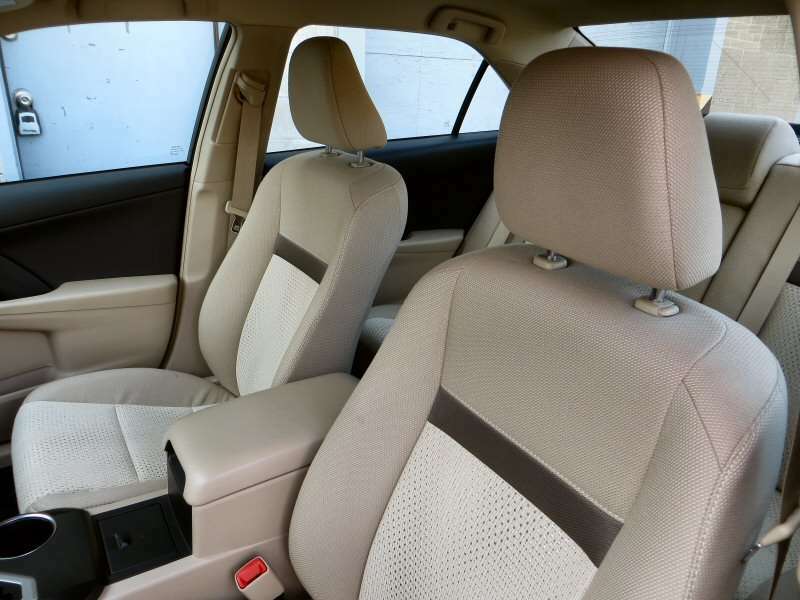 The Camry LE that I drove offered fabric seats that should be simple to clean in the event of a spill emergency, and I found it easy to select a comfortable driving position using the adjustable seat. The trunk is sufficiently large for a weekend excursion for four, but with 15.4 cubic feet of space available it's not quite as mammoth as the storage space offered by several of its rivals. The 2014 Toyota Camry introduces no feature changes for the current model year. The 2014 Toyota Camry LE is one-step-up from basic transportation, which means there's not a lot to play with in the features department. 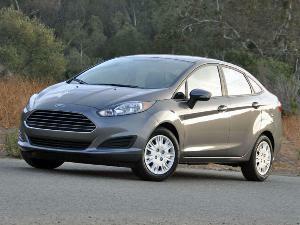 This isn't a bad thing - the LE trim is a very comfortable and modern car, missing only niceties such as heated seats, navigation, and other high-end items - but it does mean that the simple controls, switches, and dials won't dazzle you in the same way that the MyFord Touch system would in the Ford Fusion. For most drivers, this is perfectly fine, as the Camry isn't meant to impress so much as it's intended to eat up miles in comfort, a requirement that the car is happy to oblige. 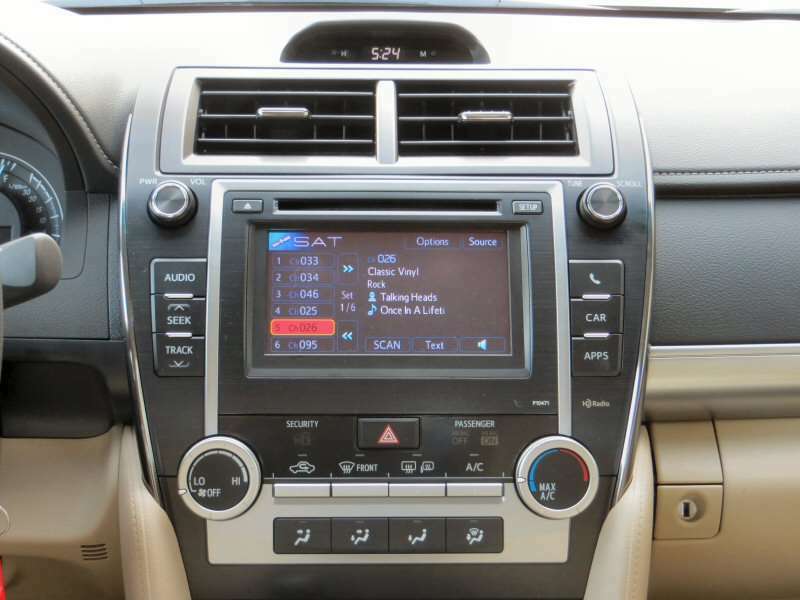 Toyota does offer a touchscreen audio system (called Entune) with the Camry LE, and for the most part it works well. As with most Toyota products, the graphics are a bit dated (I especially enjoyed the 90s-era cell phone image that serves as the primary Bluetooth background), but if you can get past that you won't have any trouble sending music from your mobile device to your ears. Entune also provided an 'Apps' button, which displayed a 'Map' application for me that didn't really offer any navigation functions but sort of situated me in my local area on the 6.1-inch LCD touchscreen. Toyota offers a number of other apps through the Entune App Suite, which can be downloaded from iTunes or the Google Play store for Android, and their functionality ranges from providing sports scores and internet search results to helping you book movie tickets. The 2014 Toyota Camry introduces no new safety gear. The 2014 Toyota Camry offers knee airbags for driver and front passenger, dual forward airbags, front side impact airbags, rear side impact airbags, and dual side curtain airbags that deploy along the entire length of its passenger compartment. You also get electronic stability control and traction control with the base Camry, but in order to enjoy active safety features such as a blind spot monitoring system you'll have to upgrade to the SE edition of the car and then pay a bit more to order it as an option. 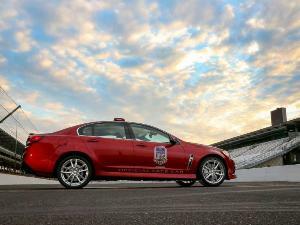 The same goes for Toyota's Safety Connect telematics system and its ability to automatically notify first responders in the event of an accident: while GM makes its OnStar freely available on all trim levels of its family sedans, Toyota has reserved this option only for the Camry XLE. 2014 Toyota Camry Crash-Test Ratings: The NHTSA has awarded the Camry a five star overall crash safety rating, while the IIHS has rated the Toyota 'Good' in each important category, with the exception of a 'Poor' rating in the new small-overlap frontal offset crash test. 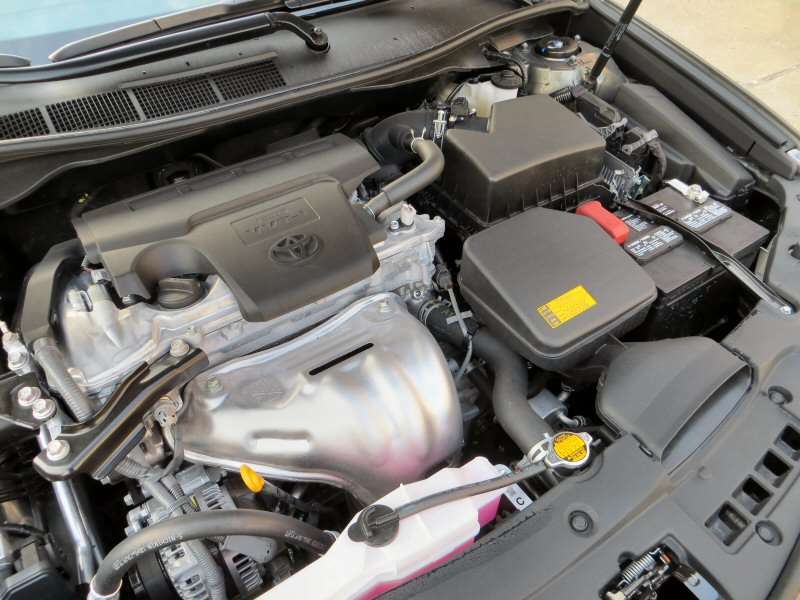 The 2014 Toyota Camry carries over the previous year's engine options. 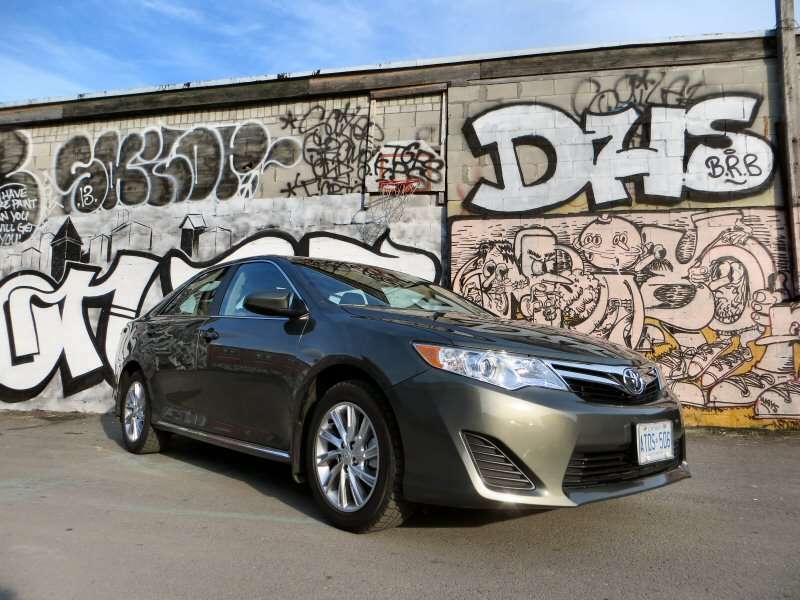 The 2014 Toyota Camry is initially offered with a 2.5-liter, four-cylinder engine that can be relied on to produce 178 horsepower and 170 lb-ft of torque, and was the motor that I had under the hood of my test vehicle. 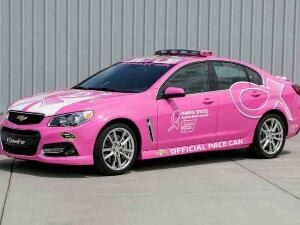 It's possible to order a 3.5-liter V-6 with the Camry as well, and it boosts output to 268 horses and 248 lb-ft of torque. 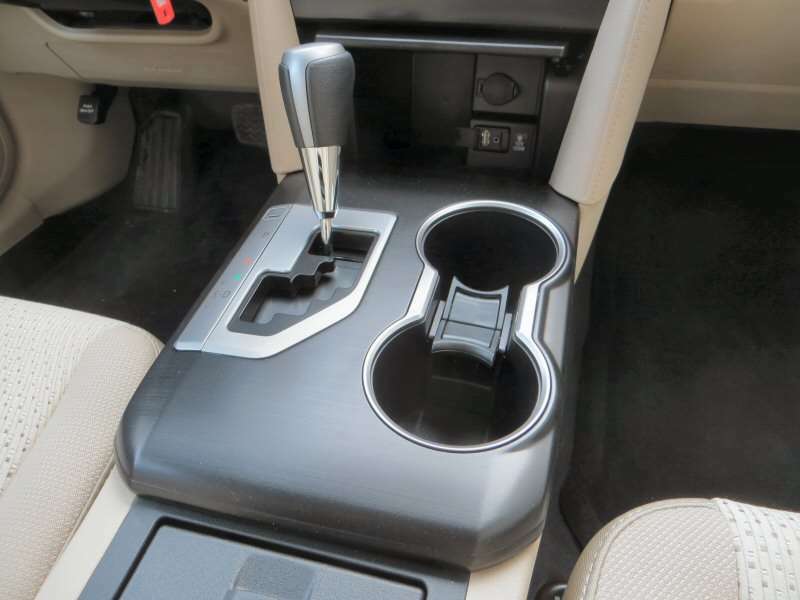 A six-speed automatic transmission as well as front-wheel drive are standard with all versions of the Toyota Camry. 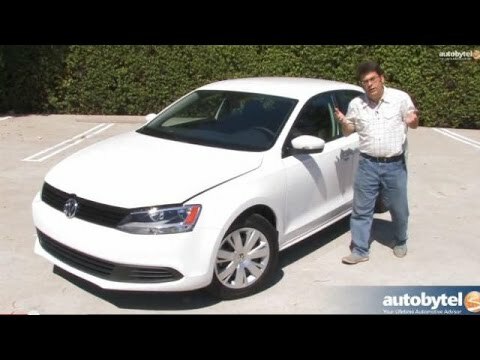 The four-cylinder engine's fuel mileage is rated at 25-mpg in city driving and 35-mpg on the highway, numbers I was unable to match during a week-long mix that featured a heavy stop-and-go element (I saw 19-mpg overall). The V-6 drops the Camry to 21-mpg around town and 31-mpg on the highway. I was at first hesitant to get behind the wheel of the four-cylinder edition of the 2014 Toyota Camry, as its on-paper power production had me concerned that it might not be the most willing co-conspirator when merging onto the highway. I couldn't be happier to report how wrong my preconceptions about the 2.5-liter Camry's performance were, as there was nary a time during the seven days I drove the car where I wished I was instead piloting the V-6. The four-cylinder mill spun up willingly and without complaint providing me with enough torque down low to move the sedan off of the line with acceptable grace, and even when passing on the highway the unit's under-hood shenanigans never became overly boisterous. Personally, I don't see the need to pay more for the six-cylinder model unless you plan on regularly towing a small utility trailer or loading the car to the max with passengers and luggage - the four-cylinder gets the job done, and it consumes less fuel doing it. 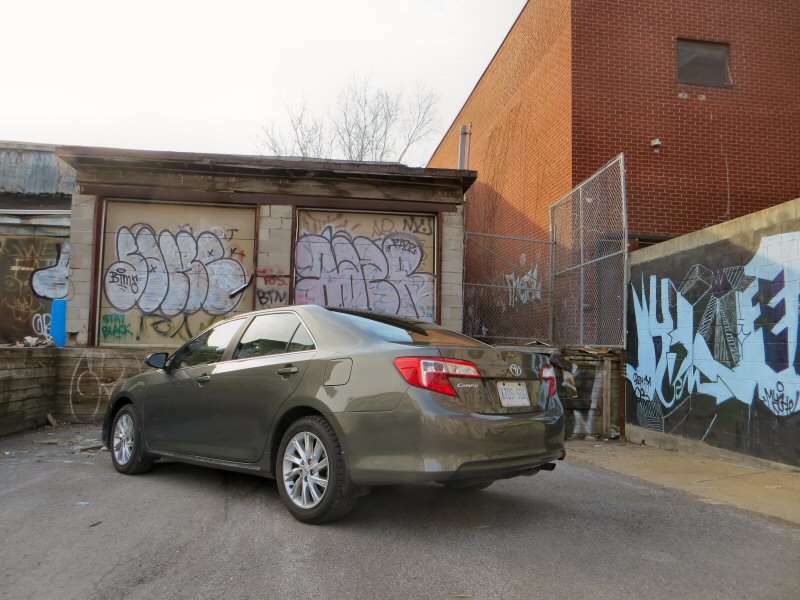 Dynamically, the Toyota Camry has been routinely panned as the automotive equivalent of Ambien, which is understandable given that the car is intended to provide comfortable family transportation, not serve as a getaway ride for bank robbers. Even with a suspension system that has been tuned so as to isolate driver and passengers from the outside world, I was still impressed by how confident the Camry was at navigating both city streets and highway exit ramps. By no means a performance car, the Toyota still managed to turn in acceptably average handling when compared to similarly-sized automobiles at its price point. 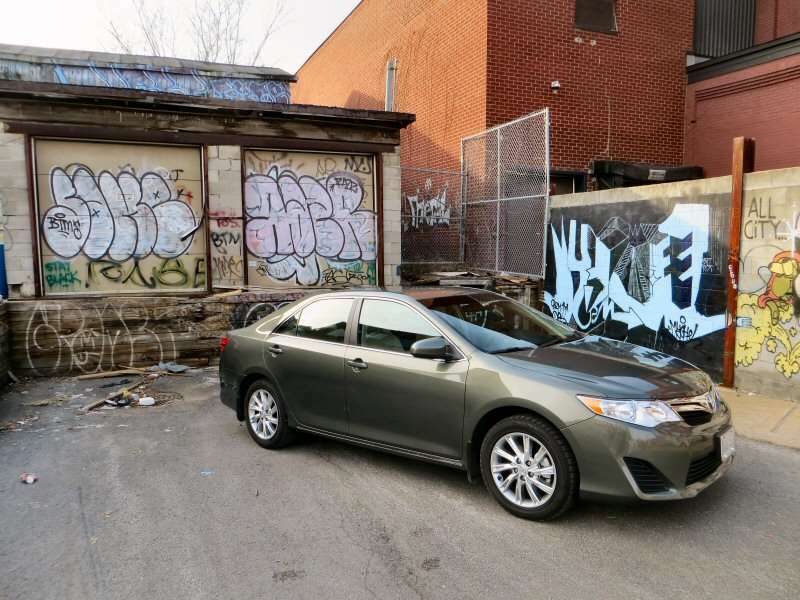 I haven't had the chance to sample the stiffer Camry SE, which most likely would have raised expectations to an unattainable level - I recommend sticking with what this Toyota sedan does best and avoid the illusion of sporty driving. You'll save yourself some cash in the process, too. I find it impossible to do anything other than praise the 2014 Toyota Camry. It gets the job done, with no fuss, and for an affordable price. To be sure, it's a specific job: providing comfortable transportation in a reliable package that's affordable and conservatively styled. Within those parameters, the Camry is an excellent automobile. Moving past them, however, reveals a number of other options - such as those models mentioned in the introduction to this review - that match the Toyota in terms of function but also add flair when it comes to style, technology, or joy of driving. 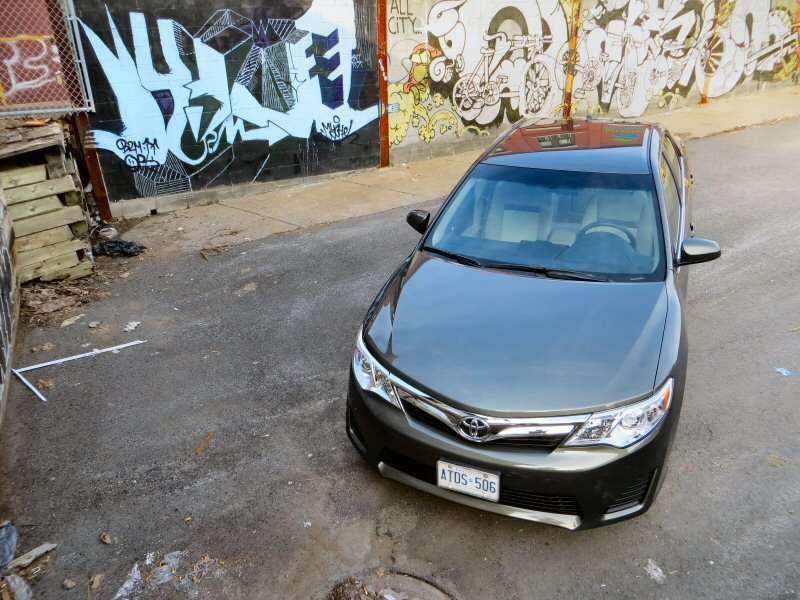 To many buyers, it won't matter that the Camry sticks to the script, but for anyone looking for a mid-size sedan that can ad-lib an extra dimension or two, you might want to shop around. 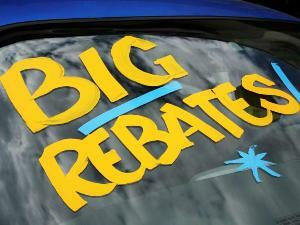 Toyota Canada supplied the vehicle for this review.